The energy and enthusiasm we experienced at World Conference made this event one of the greatest in our company’s history. 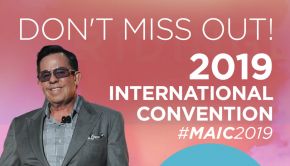 We all know that attending International Convention is another key opportunity to keep the energy and momentum going strong – but for me, attending the MAIC2019 Gala is also a no-brainer. 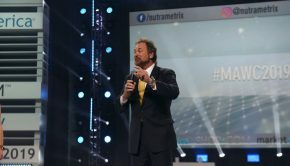 Being at the MAIC2019 Gala allows you to rub shoulders and bond with the top UFO earners, leaders, corporate team and executives and gives access to the “inner sanctum” of the business. On top of that it’s a lot of fun, so if this is of interest to you: ACT NOW! Being here really separates the top geese from the flock or ducks if you want to refer back to the metaphor that everyone loved. It is always sold out and no doubt will be again, but there was so much emphasis on the MAIC2019 tickets that the Gala was secondary and overlooked by many. If you get the Gala ticket, (includes dinner and our version of the Oscars or Grammy Awards for UFOs) it also includes MAIC2019 general admission. Being at the Gala is an invaluable experience and is something everyone should strive to attend during International Convention! A limited number of 2019 International Convention Gala tickets are still available. Hurry to purchase yours today before they sell out! The gala is a wonderful experience that enables everyone at all levels of the business to celebrate success together. It is a unique networking opportunity where you can converse with the top earners in the business and enjoy an elegant evening. 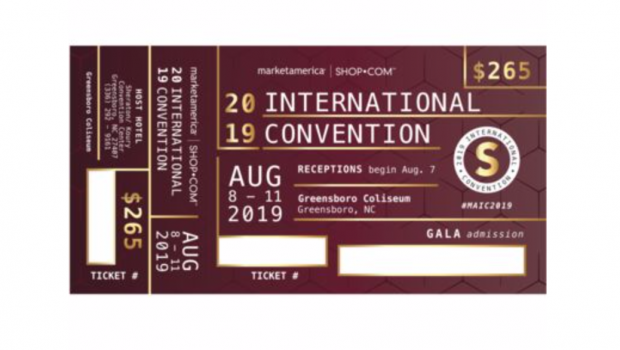 Gala and regular tickets for the Market America | SHOP.COM 2019 International Convention in Greensboro, N.C., are available for purchase on UnFranchise.com.